← Pete Rose: Best Quote Ever? City of Angels. Lakertown, USA. LaLaLand. KobeTown. Entertainment Capitol of the World. Southland. All synonyms for one place…Los Angeles, California. A city that has belonged to the LA Lakers since they arrived from Minneapolis in 1960. In 1984, the were joined by the Clippers, making the move from San Diego. Since then, the Lakers have repeatedly dominated the city “rivalry” if that’s what you want to call it. 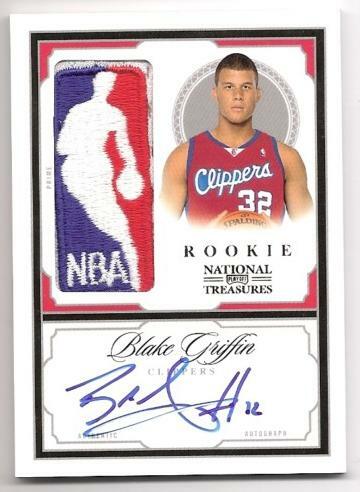 Then, in 2009, Blake Griffin happened. Their futility had led them to the number 1 pick in the draft, and so far, it looks like that pick brings hope for turning around a floundering franchise. Seriously, think about it… name one player that the Clippers have ever had that got the city excited. Not just good players, but superstars…real game changers. Don’t you dare say Baron Davis or Lamar Odom either. 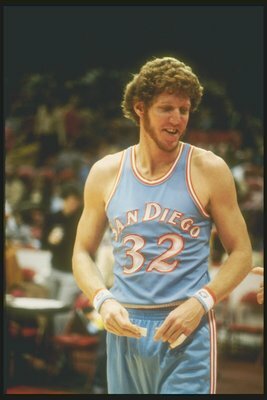 You can’t name one… and if you said Bill Walton… check the jersey, folks. Regardless of the MVP award going to Kobe during the All Star game or any of the other amazing dunkers during the contest… Blake Griffin won the All Star Weekend. Not the West, Blake Griffin. Multiple times during the All-Star game, the crowd started chanting, “We want BLAKE!”. Keep in mind, this is in KobeTown, during a game where he and Kobe were teammates and Kobe had a cool 28 points more than him (at the time). Kobe Bryant is amazing. Read our recent post on Kobe here. On the court, he’s one of my basketball heroes. I repeat, ON the court. However, Father Time has no regard for Kobe and he is knocking on The Black Mamba’s door. Blake, on the other hand, is sleeping with the fountain of youth and poising himself to take over as the King of LA. Don’t get me wrong, the Staples Center, and the city Los Angeles belongs to the Lakers… but this is the first time in history you can actually see there might be a light of the end of the futility tunnel for the Clippers. There is a light… and it’s getting brighter… because a freight train named Blake Griffin is cranking full speed ahead right through the middle of the tunnel. Oh, just in case you managed to miss the dunk, here is the final Blake Griffin dunk over a freakin’ car that won him the Dunk Champion title. Certainly over-hyped… but impressive nonetheless. I mean, the hood of that car could’ve been a dining table, right? But the theatrics…just unparalleled. Also, I don’t care how great of a song it is, something just seems wrong about a choir singing R. “pee on you” Kelly. Regardless, Blake Griffin is a beast out on the court… a giant among Lilliputians, where all the Lilliputians happen to be all around 7 feet tall. Want to own this amazing card of this human highlight reel? Read about it here. This entry was posted in Basketball, NBA and tagged All Star game, Bill Walton, Blake Griffin, Clippers, Dunk Champion, Dunk contest, Kobe Bryant, Lakers, Los Angeles, NBA, San Diego Clippers, Slam Dunk, Staples Center, The Black Mamba, The Blake Show. Bookmark the permalink.